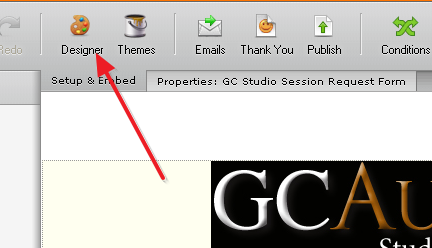 I have a form that i had created in an older version of JotForm through the school (Greenville College). I made an adjustment and it no longer works-- I get and "Oops! Form not found." Error. I have another account for other processes through your site and so i decided to re-create the older form (and update it some) in this account. 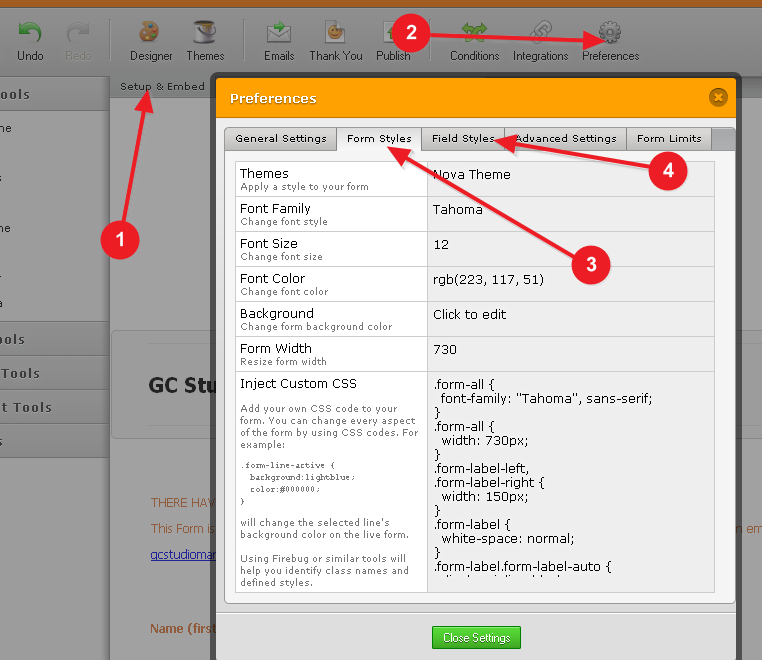 However-- when trying to do this, the menu/Tab with Form Style: Background does not show up and I can't find a way to get that. If you can help me with that, then I should be able to do the rest as the other items needed would show up as well. All the tools to the left show up -- just not the Form Styles-- which is needed for me to continue. Thanks for the help. Since my other form went down, none of my students can use it to reserve studio time for school projects and so I am a bit stuck until I get this fixed. If I could clone this and then make some adjustments, that would save a lot of time as well. You can usually try using our method How to Clone an Existing Form from a URL, but I can see that the result of cloning that particular form is not nearly as good as teh form that you have already re-created is. Please let us know if you need further assistance, and we will be happy to help.